I had an unnerving feeling standing in front of Rubens’s portrait of his daughter Clara Serena at Christie’s, during the London Old Master sales in July. For the first time ever, I felt an urge to steal a painting, compelled to have it before it was sold to someone else. It’s a picture I have followed closely since it was deaccessioned by the Metropolitan Museum of Art, New York, in 2013. 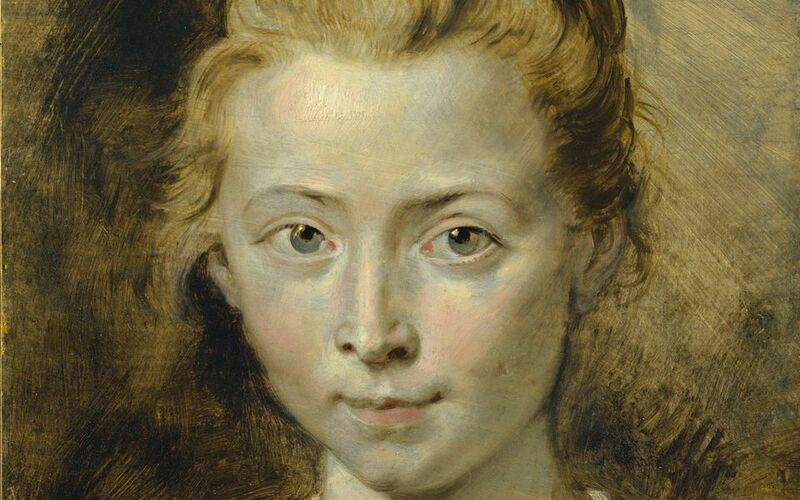 But I had always seen it in the distracting context of its rehabilitation as a work by Rubens and had paid more attention to details such as the technique, its condition and so on, as I got caught up in all the debates over its attribution. I had never paused and looked at the whole. And, back then, I wasn’t a parent. Now, I looked at it as Rubens must have done, as the father of a daughter. The portrait captures a father’s affection for his child, and her tender response, better than any other I have seen. It is full of love. I find myself more and more wanting to get away from the politics of the art world. For that reason, I’ve been on an art market detox this summer. The only auction catalogue I have looked at is for farm machinery. (We live in the Scottish countryside.) And, wonder of wonders, a successful bid: for an ancient and rusty John Deere tractor. I think mowing grass might be the best therapy there is. I’ve been catching up on some good art-historical television, too. The actor Mark Gatiss presented an excellent documentary about the painter John Minton (BBC iPlayer), who in his day was on a par with the likes of Lucian Freud but who now very few have heard of. As a gay man in London in the 1940s and 1950s, Minton was inevitably forced to lead a double life, and committed suicide at the age of 39. Normally, such a tragedy would be the foundation of a strong art-world narrative, with its hints of Van Gogh. But Minton’s life doesn’t quite tick all the boxes, for he died rich—he was a commercial success, famed as an illustrator of travel and cookery books. We often value the artist’s story as much as their art. Gadsby doesn’t like Picasso and makes a powerful case against the way we glorify the pain he purposefully inflicted on his many lovers, just because he was an artist. In Gadsby’s view, Picasso was a misogynist and a pervert. But in the eyes of the art world (and Picasso’s biographer, John Richardson), he was simply “uncontrollably horny”. It is refreshing to hear art-historical orthodoxies challenged; it happens rarely and, when it does, it is from someone on the peripheries of our subject.